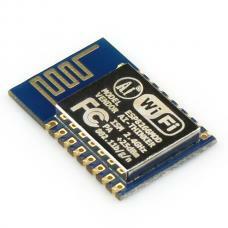 Connect your Arduino to the Internet with the ATWINC1500 WiFi Breakout Board w/ uFL Connector from Atmel. 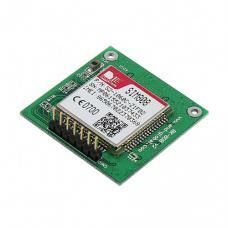 This 802.11bgn-capable WiFi module is the best new thing for networking your devices, with SSL support and rock solid performance. 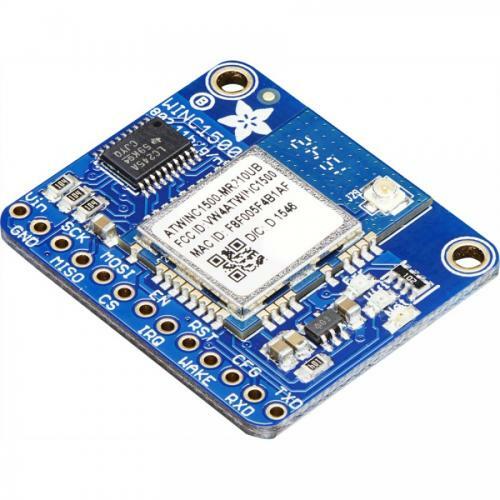 The ATWINC1500 WiFi Breakout Board w/ uFL Connector uses SPI to communicate, so with about 6 wires, you can get your wired up and ready to go. Right now the Atmel-supplied library works great with Arduino Zero, and seems to work OK on Uno but may not work on other Arduinos. 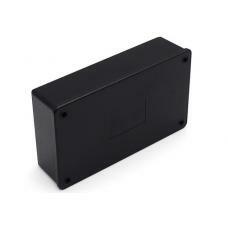 You can clock it as fast as 12MHz for speedy, reliable packet streaming. And scanning/connecting to networks is very fast, a few seconds. The breakout comes with level shifting on all the input pins so you can use it with 3V or 5V logic. 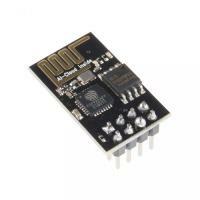 A 3.3V voltage regulator that can handle the 300mA spikes lets you power from 3-5.5VDC. There's also 3 LEDs that you can control over the SPI interface (part of the library code) or you can have controlled by the Arduino library. They'll light up when connected to an SSID, or transmitting data. The CC3000 hits that sweet spot of usability, price and capability. It uses SPI for communication (n..
SIM808 Module features Quad-Band GSM 850/900/1800/1900MHz GPRS multi-slot class 12/10 GP.. Size: 145mm x 85mm x 40mm ..